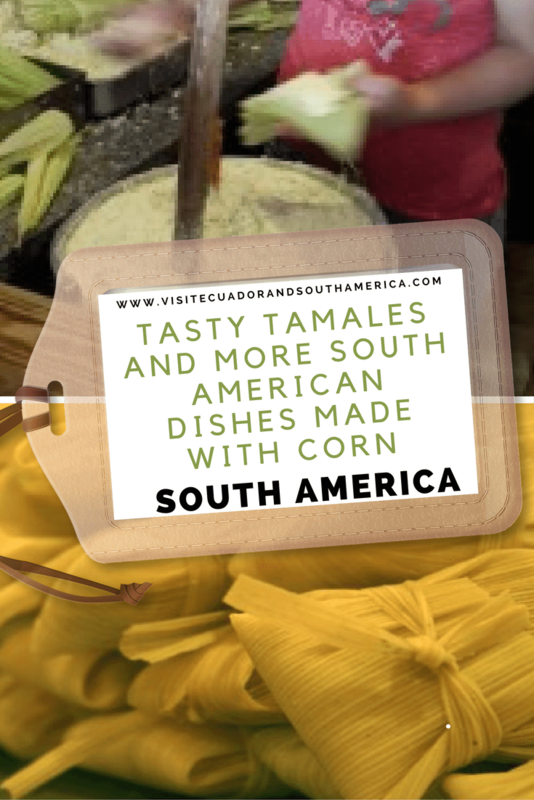 Corn is one of the main ingredients in Ecuadorian and South American cuisine. Corn which translates to maiz in Spanish, is a grain plant used from prehistoric times and which spread from Mexico to the rest of the continent in 2500 BC. Hence its importance in the culture of Latin and South America. When it comes to suggesting which are some of the traditional dishes in Ecuador I have to say that tamales rate high in the scale. So, what is a tamal? It is a traditional dish made of corn masa. We wrap the dough in a leaf of corn husk or plantain. In Ecuador we wrap in achira (canna) leaves. Next, we steam the final product. Legend has it that tamales have been used from the time of the Inca-empire, long before the arrival of Spaniards to South America. Corn (maiz, also known as choclo) has been cultivated in South America for more than 5,000 years and a wide range of dishes are made from it, to name a few: tortillas, tostitos, doritos, tamales, and chicha, an ancient yet still popular beverage. Corn is South America’s biggest and most well-known contribution to gastronomy world-wide. 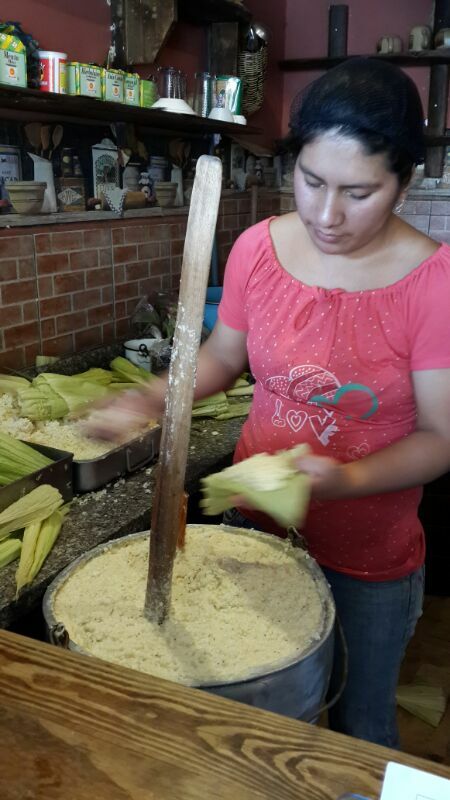 Making your own tamales is unfortunately a tradition that our grandmothers’ had and is now less popular as it is rather easy to buy tamales in grocery stores, cafés and restaurants. In my case, I had a couple of lessons with grandma Bebita, (grandmother on my mom´s side) where she taught me how to make her tasty tamales de arroz (rice tamales). But still, I really never made them until recently when at a friend´s from Texas. It is a fun activity to share with friends, though it takes some time and love. Another dish, quite similar to tamales are humitas. They are not found in all South America, but in Peru, Ecuador, Bolivia, Argentina and Chile. The sweet humitas in Ecuador use raisins, and sugar, other dishes include: quimbolitos, bonitisimas and sopa de bolas. Watch here this small but interesting video that captures how fast experts manage to make them. Of course in a country with 4 very different regions, with a wide biodiversity, there are plenty other snacks and food that you should taste. I just give you in the following article: Some of the best snack souvenirs to get on your visit to Ecuador – South America, 5 of the tastiest snacks you can easily buy and taste while you visit the country. Do you have any other dishes made with corn that you love in Ecuador or South America? Tell me about it. Want to learn to make some of these dishes and many more? This book : Gran Cocina Latina: The Food of Latin America, comprises 500 well written recipes from all Spanish speaking countries in Latin America. It provides great information and recipes of the exciting food you can prepare at home while you plan your visit to South America. ⟵How solo travel can be an extremely positive thing.